Fault Dr. Dre for being tardy with Detox all you want, the 49-year old Comptonian and Aftermath Entertainment CEO just drunkenly officially became hip-hop's first billionaire (or, didn't he? 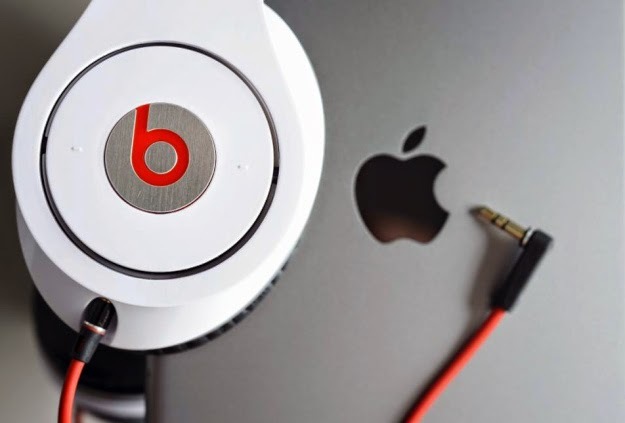 ), selling Beats Electronics to Apple for $3 billion. The acquistion was originally reported to be for $3.2 billion, but apparently Apple hadn't even begun its due diligence when that number came out. The sale of Beats is an impressive feat, considering that Beats Electronics was founded merely six years ago by Dre and Interscope Records co-founder Jimmy Iovine. The dynamic duo, which also brought the world hip-hop superstar Eminem, has in a very short span brought Beats to the highest of highs, thanks in no small part to effective and widespread endorsement marketing. The premium priced headphone, designed to truly deliver 'bass', seemingly came out of nowhere to conquer the headphone market. By 2012, Beats had a market share of 73% for headphones priced higher than $100. In 2013, the company, which by then had expanded into speakers and audio systems for cars, was valued at $1 billion. And that's before Beats Music (formerly MOG) was launched earlier this year. Beats Music, a curated streaming-music service, is a big reason why Apple went after Beats Electronics, by the way. Sure, the acquisition nets Apple a fashionable and highly popular high-margin hardware product, but Beats Music allows the iPhone maker to make some real ruckus in the world of streaming music. Apple's own streaming service, iTunes Radio, launched late 2013, has been underwhelming and so far unable to compete with rivals Pandora and Spotify. Beats Electronics is Apple's largest ever acquisition, leaving behind, by a large margin, the acquisition of NeXT in 1997 for $404 million. Update: According to an article by The Guardian, Beats has just 111,000 registered accounts. It appears that Apple really bought Beats to acquihire Jimmy Iovine, so that he can oversee the company's music strategy and handle relationships with labels and publishers. Update 2: According to Walter Isaacson, who penned the famous Steve Jobs biography, Iovine will head up Apple's content business, securing music and TV deals. Update 3: Both Dr. Dre and Jimmy Iovine are expected to attend Apple's Worldwide Developer Conference next week. "This is the real meatballs in the batter"
"You know, one good apple can spoil the rest"